It's no surprise that Chicago is listed near the top of Condé Nast Traveler's list of the best large cities to visit in America. From world-class museums to water-based tours and spectacular skyscapes, there is never any shortage of fabulous things to do in the Windy City. No trip to Chicago is complete without a stop at Navy Pier. Not only does Navy Pier provide outstanding views of Lake Michigan, there are plenty of fun attractions for everyone in the family to enjoy. Richard Engle, a Chicago-based Certified Travel Counselor (CTC) with Protravel International, describes Navy Pier as "the ever-evolving top tourist destination in Illinois." Rides: You can catch a bird's-eye view of the Lake from the Centennial Wheel Ferris wheel ($15), which is designed in the style of the London Eye. You can also take a spin on the carousel, raised swings or kid-friendly tower ride ($8 each). Boat tours: A number of boat tours depart daily during spring and summer. Options include the Tall Ship Windy (offering day and evening sails starting at $30 per person) and Seadog Cruises lakefront speedboat tours (starting at $24 per person). Dining: There are a number of great Chicago-centric restaurants on Navy Pier. Be sure to visit Harry Caray's Tavern, named for the long-time voice of the Chicago Cubs, where you can enjoy burgers, nachos, cold drinks and more. If you're looking for a taste of the deep dish pizza Chicago is known for, stop by Giordano's. Just don't forget that good deep dish pizza takes time; expect it to take about 45 minutes to cook. Chicago Children's Museum: This popular museum, open daily from 10 a.m. to 5 p.m., offers a variety of fun, interactive and educational exhibits for children. Admission is $14 per person. You can get in for free on Thursday evenings and the first Thursday of each month. Chicago Shakespeare Theater: Enjoy world-class live theater performances throughout the year at this wonderful performance venue that, despite its name, is not limited to just Shakespeare. For example, 2018 performances include Macbeth and Waiting for Godot. Ticket prices vary by event. Check the event calendar to see what will be showing during your visit. 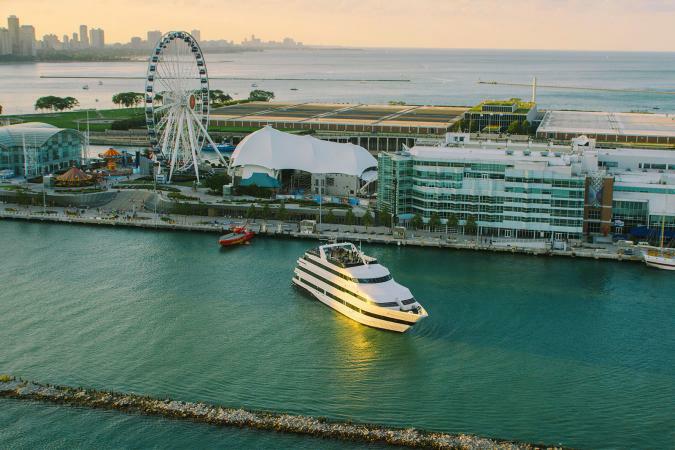 If you're looking for a delicious and upscale way to get up close and personal with Lake Michigan, be sure to leave time in your agenda for a dining cruise onboard the Odyssey. Reviewers on OpenTable.com praise Odyssey cruises for friendly service, great food, ambiance and wonderful views of the Chicago skyline. The Odyssey offers a variety of two-hour sailings daily during the spring and summer, serving a unique combination of delicious food and spectacular lake views. The ship sails from Navy Pier. Lunch cruises are held Monday through Saturday. These cruises feature a plated lunch with three courses (salad, entrée with sides and a dessert) for $55 to $70. Dinner sailings are offered every day with plated prix fixe three-course meals. Prices range from $65 to $80. Champagne brunch cruises set sail on Sundays. An impressive buffet boasts traditional breakfast items, plus main course items like salmon and prime rib, paired with a variety of sides and sumptuous desserts. Pricing ranges from $60 to $110. Coffee, tea, and water are included with all meals. 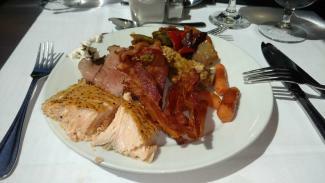 Sunday brunch and select dinner cruises also include champagne. A cash bar is available onboard. When in Chicago, be sure to set aside some time to immerse yourself in the beauty of the city's architecture. Often described as "America's best architectural city," downtown Chicago is home to a number of magnificent examples of architectural design. This is no accident. Engle explains, "Following the great Chicago fire (in 1871), the city became an experimental ground for some of the world's most forward-thinking architects, which has resulted in a multitude of buildings that feature amazing engineering, artistic design and incredible functionality." Engle recommends the land and water-based tours conducted by the Chicago Architecture Foundation as a great way to experience this aspect of the city. "They operate dozens of walking tours with docents who explain all the details. The best tour is the Architectural Boat Tour on the river." CAF boat cruise: Visit CruiseChicago.com for details on and tickets to the Chicago Architecture Foundation (CAF) River Cruise aboard Chicago's First Lady Cruises. These 90 minute tours sail several times every day. Individual tickets range from $23 to $44. 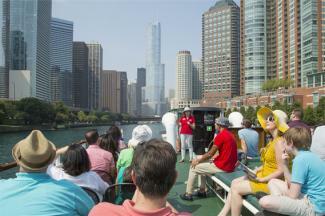 There are other architecture cruises in Chicago, but this is the only one led by experts from the CAF. CAF walking tours: For a complete schedule of walking tours, click the calendar icon on Architecture.org. A variety of options are available, including tours focused on the city's skyscrapers, Art Deco design, specific neighborhoods and more. Each walking tour lasts two hours and costs $20 per person. Departure times vary by tour. The view from Skydeck Chicago is nothing short of spectacular. Skydeck is located on the 103rd floor of the 110-story Willis Tower, originally known as Sears Tower, which is "the tallest building in the Western Hemisphere." It stands among the top ten tallest buildings worldwide. Skydeck provides phenomenal views of Chicago's skyline and beyond, as you can actually see four states (Illinois, Michigan, Wisconsin and Indiana) from its vantage point. Skydeck's most recent addition is The Ledge, which consists of a series glass boxes that extend a little more than four feet out from the side of the building. When you step out onto The Ledge, not only can you see out of the sides and top of the box, you can see below as well (if you're brave enough to look down) for a truly unique perspective on the city. 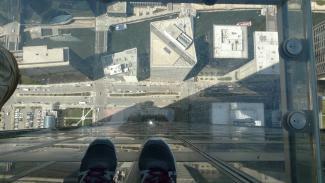 While the idea of stepping out onto a glass box 103 stories in the air might not be for the faint of heart, it is not dangerous. According to Architect Magazine, The Ledge's glass boxes "can support the weight of an elephant and endure thousands of visitors daily." Tickets are $23 for visitors 12 years of age and over. The cost is $15 for younger visitors. This attraction is open every day. During the spring and summer (March to September), the tower is open from 9 a.m. until 10 p.m. The rest of the year, it operates from 10 a.m. until 8 p.m. Admission stops 30 minutes before closing. Formerly known as the John Hancock Tower, 360 Chicago is a unique observatory that also offers spectacular 360-degree views of Chicago and the surrounding states. The observation deck is on the 94th floor of the 96-story John Hancock Center, Chicago's fourth tallest building. It stands near the shoreline of Lake Michigan with an unobstructed view. While not quite as high in the air as Skydeck Chicago, 360 Chicago is known for providing truly outstanding views of Lake Michigan and Downtown Chicago. The newest addition to 360 Chicago is TILT, a thrilling opportunity to stand inside a moving glass window that extends out over North Michigan Avenue for "unique, downward facing views from 1,030 feet up." The Chicago Tribune indicates that TILT is "the first moving attraction of its kind in the world" and features "eight individual bays that tilt outward from the top, from 10 to 30 degrees." Tickets are $20.50 for visitors 12 years of age and over, $13.50 for visitors between 3 and 11 years of age, and free for kids 2 years old or younger. This attraction is open every day from 9 a.m. to 10 p.m. from March to September. The rest of the year, the tower operates from 9 a.m. until 11 p.m. Admission stops 30 minutes prior to closing. If you're a fan of parks, you'd be hard pressed to find a better destination than Chicago. The city is home to more than 600 parks, making up well over 8,000 acres of green space. 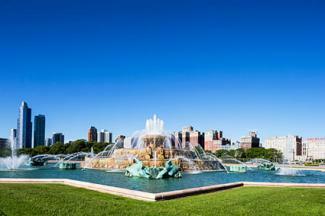 Chances are that you won't have a chance to visit all the parks during your time in Chicago, but Engle recommends a few in particular when you travel to the city. 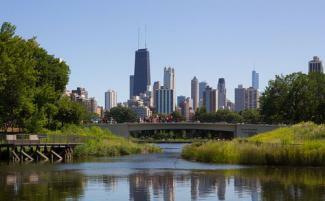 Engle asserts that "Millennium Park is one of Chicago's most famous and important must-sees. It is new and innovative with lots of fun outdoor art and beautiful landscaping. The park is connected by walkway to the famed Art Institute of Chicago and is located near many fine shops and dining options." The park is also home to plenty of activities. It houses the Frank Gehry-designed Pritzker Pavilion where outdoor concerts are held all summer long. It is home to the Harris Theater which offers music and dance year round. Summer Dance at Millennium Park kicks into action several times weekly all summer. People come for miles around to dance the night away. In the winter, the park has a large ice skating rink and the city's famous giant Christmas Tree. If you have time to visit one more park, Engle indicates that "Lincoln Park would be next in line with its beautiful in-city zoo and miles of lawns, bike paths and shady trees." Admission to Lincoln Park Zoo is free, though parking costs between $20 and $35 per day. Hours vary by season and day of the week. During the peak summer season, the park is open 10 a.m. until 5 p.m., with closing extended until 6:30 p.m. on the weekends. The park closes earlier the rest of the year. Engle points out, "Lincoln Park is also the backdrop for many of Chicago's 18 beaches along Lake Michigan. It has many sports fields and tennis courts. Summer is busy with park/lakefront outdoor sports activities." Founded in 1979, the Art Institute of Chicago is home to a diverse collection, featuring more than 300,000 pieces housed in a series of eight buildings that encompass just under a million square feet. Named as "the best museum in the world" in TripAdvisor's 2014 Traveler's Choice Awards, this museum remains listed as the number one thing to do in Chicago on TripAdvisor. More than 1.5 million people visit the museum each year. Be sure also to check out the special exhibitions throughout the museum, such as the Saints and Heroes: Art of Medieval and Renaissance Europe exhibition that opened in March of 2017. The museum is open daily (with exceptions for New Year's Day, Thanksgiving, and Christmas) from 10:30 a.m. to 5 p.m.. Hours are extended until 8 p.m. on Thursdays. The Field Museum's collection consists of "30 million artifacts and specimens," only a tiny portion of which are displayed in the facility. That's because the Field Museum has been focused on the "pursuit of scientific knowledge about the world" since its 1893 founding. With a mission of fueling "a journey of discovery across time to enable solutions for a brighter future rich in nature and culture," the museum employs over 140 scientists engaged in active research - some working in the Chicago museum's lab and others engaged in scientific discovery around the world. The exhibitions on display at the museum are both varied and impressive. The museum's permanent collection includes SUE the T. Rex, which is the most complete Tyrannosaurus Rex skeleton known to exist, plus numerous other exhibits like Restoring Earth, Evolving Planet and the Hall of Gems. The museum also features a number of special exhibits and 3D movies at any given time. The Field Museum is open every day other than Christmas from 9 a.m. to 5 p.m. All-access passes, which include admission to all open exhibits, cost $36 for visitors 12 and over and $25 for children between three and 11 years of age. There is no fee for kids two and under. Discounts are available for students and senior citizens (65+) with valid ID. Cheaper tickets with limited access are also available. 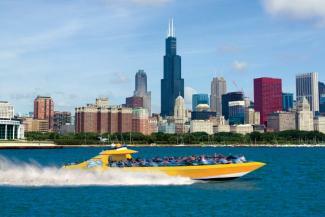 Some of Chicago's greatest attractions are off the beaten path frequently traveled by tourists. Engle recommends, "Visitors should take the time to explore some of Chicago's wonderful neighborhoods-each with its own character." Andersonville has Swedish roots, is located in the far north of the city, and is easily reached on the "L" (elevated train), by taxi or Uber, or on a bicycle. Enjoy a variety of Belgian beers at Hopleaf or a delightful meal at Lady Gregory. The Wicker Park/Bucktown neighborhood is home to Chicago's 606, the former elevated train track now converted into a 3.5 mile park for cycling, running or strolling. Miles of lakefront serve the same purpose, only there the trail is over 20 miles long! The Pilsen neighborhood is famous for its graffiti-fighting colorful wall murals. Chinatown is probably America's most authentic. The West Loop has great dining along Randolph and Fulton Avenues, and the South Loop is home to some surprising modern architecture. The Lincoln Park neighborhood is worth a drive or cycle around, as it is here that you will find beautiful mansions with finely manicured lawns. Oak Park presents an opportunity see the studios of Frank Lloyd Wright, as well as many of the homes he built. "For a longer stay, one day out of the city can be fun," says Engle. "The opulent suburbs to the north offer beautiful drives down mansion-lined streets, or a day trip to the resort of Lake Geneva, Wisconsin, takes a visitor through some of the flat cornfields of Illinois and the rolling hills of Southern Wisconsin. In Lake Geneva a circle-the-lake boat tour is fun, or you can hike part of the 26-mile shore path." There is plenty to enjoy after hours in Chicago as well. 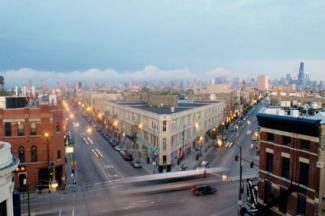 "Chicago nightlife is amazing--many fine restaurants, jazz and blues clubs and a fine theater scene," Engle states. 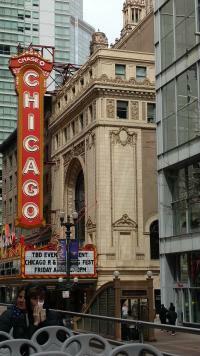 There are more than 200 theatres in Chicago. You can take in Hamilton at the PrivateBank Theatre or one of the many local or touring shows that visit other theatres in the city on a rotating basis. The city is also home to countless other venues for live music (ranging from intimate shows to arena concerts), comedy performances (including The Second City) and more. Of course, no night of music or theatre is complete without a great dinner. Outstanding food is everywhere in Chicago. As a matter of fact, in 2017 the city was named as the "America's best restaurant city" by Condé Nast Traveler. "Chicago is one of America's best-kept secrets; almost anyone who takes a chance on a visit here is very pleasantly surprised, especially in spring, summer or fall," Engle advises. "The city is beautiful during the winter holidays, but it can also be very cold. People in Chicago are friendly and helpful and Chicago has a very colorful history. Autumn is ideal for the crisp, fresh, sunny air and the elegant fall colors. Theater season is in full swing, but outdoors explorations are still possible." Of course, these are just a few of the many wonderful attractions to enjoy in Chicago. If you're only visiting for a few days, the suggestions here will keep you more than busy. If you're staying longer, consider requesting a free Official Chicago Visitor's Guide when you start planning your trip. It will provide additional suggestions, along with an idea of the types of special events and activities going on during the timeframe of your trip.